This Is Why Pokemon Go Is So Famous Now! What is beating the Candy Crush Saga hands down? No idea? It’s the latest game from the Pokemon series, the Pokemon Go app from Nintendo. What began as a simple Pokemon challenge in 2014 gradually turned into one of the hottest selling gaming apps, breaking all records. The latest news is, those who have played the officially released version of Pokemon Have leaked footages of the game and the visuals and the graphics seem pretty impressive. Users are now trying to grab the beta version of the game since Nintendo is testing the beta version in some countries like Japan. However, people from any country can make Pokemon go app download on their devices with that guide. Do Check: The best free movies app for Android. 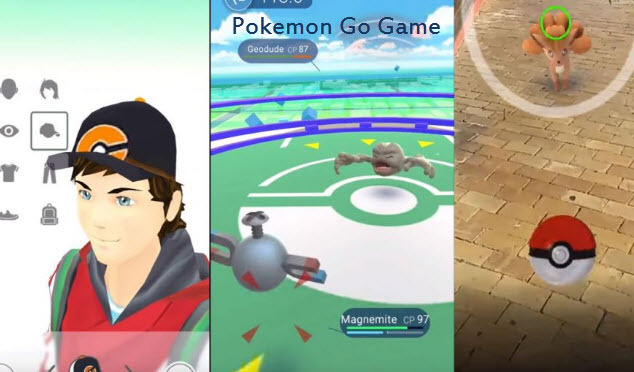 While almost all of the users who have played Pokemon Know that the game involves augmented reality. It means, where the users can choose their avatars which are mapped to real-time on the location map. Players have to go out and traverse their locality to catch the wild Pokemons with a Poke Ball and capture them and add to their collection; there are several interesting facts about Pokemon Go that probably many users are not aware. You can get the Pokemon app on ApkMirror. 1. Pokemon Go climbed to the all top charts within ten hours. 2. This app is giving the users a lot of exercises. Since the users have to go out and capture pokemons, they have to move around a lot. Players have to view the location of the Pokémon. Location can be anywhere in their local park, temples, fountains, etc. and the users have to use their mobile’s front camera actually to search and view the pokemons on their smartphone screen. 3. This gaming app is giving a boost to the side businesses like cabs since many users would want to avoid this compulsory “exercise and play” game and instead opt for secure means to reach physical stops like Poker stops and Pokegyms where they can collect virtual items and power up their collected Pokemons by Gym trainers. 4. Pokemon Go is one of the first forays of Nintendo in the mobile market, and this game might well give a total makeover to it if the popularity is anything to go. 5. Nintendo is collecting a lot of personal data because they can store the users’ location and activities through GPS and cameras and they can share this information with the third party. Those who log in through Google give access to their Google Docs and other Gmail documents. Niantic can use this exorbitant amount of data in any way they wish to, which might leave the user privacy compromised. 6. This game app brings Augmented Reality (AR), a blend of practical elements with the real world into the mainstream. In spite of all these, users are hooked into this gaming app and its time you had a try at this app which is breaking all records!